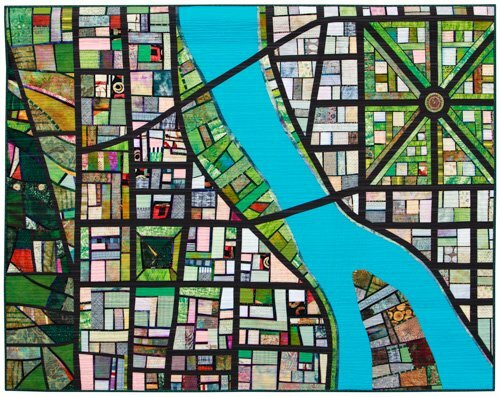 Her journey to the top of the quilting world is fascinating, and her work inspiring (here is just one piece, called “Portlandia,” and please google more of her work). But her passion for her work is what I most admired about her — in fact it was infectious. Whether I’m doing an article for a quilting magazine, or a technical magazine, or even a consumer magazine, I always find the passion. It’s with that passion I tell the story that needs to be told. It’s in capturing that vibrancy of an interesting life that makes an article come to life, and one I’m able to do, even if I’m not an expert in the subject at hand. Because in the end, it’s always just about telling the story, and telling it in a manner that sticks with the reader long after the final sentence has been read. 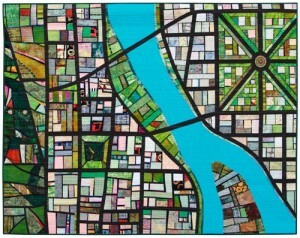 This entry was posted in General and tagged freelance, magazine articles, magazine writer, Quilter's Newsletter, St. Louis Freelance Writer, telling a story. Bookmark the permalink.